In the 19th century, one of the surest ways to rise to prominence in American society was to be a war hero, like Andrew Jackson and William Henry Harrison. But few would have predicted such a destiny for Hiram Ulysses Grant, who had been a career soldier with little experience in combat and a failed businessman when the Civil War broke out in 1861. However, while all eyes were fixed on the Eastern theater at places like Manassas, Richmond, the Shenandoah Valley and Antietam, Grant went about a steady rise up the ranks through a series of successes in the West. His victory at Fort Donelson, in which his terms to the doomed Confederate garrison earned him the nickname “Unconditional Surrender” Grant, could be considered the first major Union victory of the war, and Grant’s fame and rank only grew after that at battlefields like Shiloh and Vicksburg. Along the way, Grant nearly fell prey to military politics and the belief that he was at fault for the near defeat at Shiloh, but President Lincoln famously defended him, remarking, “I can’t spare this man. He fights.” Lincoln’s steadfastness ensured that Grant’s victories out West continued to pile up, and after Vicksburg and Chattanooga, Grant had effectively ensured Union control of the states of Kentucky and Tennessee, as well as the entire Mississippi River. At the beginning of 1864, Lincoln put him in charge of all federal armies, and he led the Army of the Potomac against Robert E. Lee in the Overland campaign, the siege of Petersburg, and famously, the surrender of the Army of Northern Virginia at Appomattox. Despite being the best known Union general of the Civil War and a former president of the United States, Grant was penniless after being swindled by a fraudulent business deal when he learned that he had terminal cancer in the mid-1880s. Facing death, and with his family suffering financial difficulties, Grant set about writing personal memoirs that would not only secure his legacy but also provide for his family. Grant finished his memoirs just a few days before his death, but he wrote what is almost universally considered to be the best memoirs of the Civil War and one of the best personal memoirs ever written. Grant’s Memoirs, published by Mark Twain, sold over 300,000 copies, earning the Grant family over $450,000. Twain promoted the book as "the most remarkable work of its kind since the Commentaries of Julius Caesar." Although Grant was instrumental in winning the war and eventually parlayed his fame into two terms in the White House, his legacy and accomplishments are still the subjects of heavy debate today. His presidency is remembered mostly due to rampant fraud within his Administration, although he was never personally accused of wrongdoing, and even his victories in the Civil War have been countered by charges that he was a butcher. Like the other American Legends, much of Grant’s personal life has been eclipsed by the momentous battles and events in which he participated, from Fort Donelson to the White House. 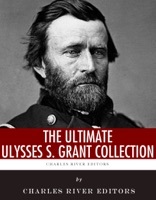 The Ultimate Ulysses S. Grant Collection comprehensively covers every aspect of Grant’s life and career, including his own famous Memoirs and Official Records reports of the battles he fought in during the Civil War, as well as three biographies that chronicle his amazing life and legacy. The Ultimate Ulysses S. Grant Collection also includes a Table of Contents and pictures of Grant and other important people, places and events in his life.